Can a development company do more than provide "real estate"? Collar City Collective provides its portfolio and clients with real estate, design and construction services customized to meet specific needs. Guided by decades of industry experience, our philosophy is centered on simplicity and good design. Like most things, it started in a dimly-lit bar with a question. Two friends, working in related industries, wondering the same thing over whiskey: "why do all new apartments look exactly the same?" 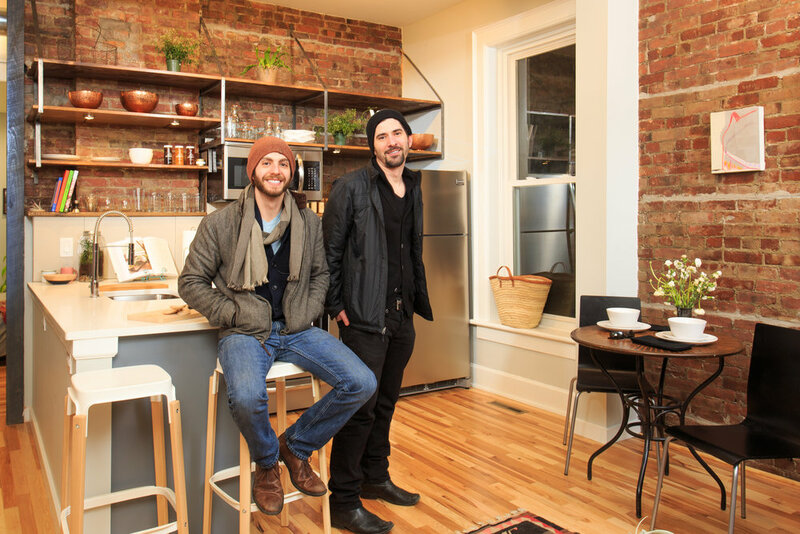 What's so different about an urban-planner and an architect starting a development company? In a word, it's our perspective that sets us apart. Take a look at any project, apartment, or street-corner: they're typically analyzed as individual commodities; laying lifeless, as if suspended in a vacuum, on spreadsheets or in business plans. In reality, each data point represents a real, physical place that has countless connections to every other physical place it borders and everyone who interacts with it. Both planning and architecture are disciplines that focus on how the built environment operates in a symbiotic system. It's the inter-connectivity between places and people - and how these interactions radiate outwardly - that make some projects successful while others, that may seem identical on a spreadsheet, struggle to perform. Going back to those early conversations, as our plans began to materialize, we agreed that the same paradigm shift could be used to impact more than just dollars and ROI. Living in Troy, NY, we began using this approach to visually map the spread of neighborhood decay or revitalization. Based on downtown Troy's ongoing development boom, we sought to explain how connections between vacant buildings and other conditions affected property values in nearby neighborhoods. This, we believed, would lead us to specific blocks and properties where our efforts would have the greatest cumulative impact. In early 2015 we purchased our first property together, next door to a house one of us already owned and occupied. For sure, our approach is nothing new. Beyond planning and architecture classrooms, it seems everyone from designers to anthropologists have long extolled the virtues of good design and "place-making". Every society from Greek antiquity to the ancient Chinese empires all connected the dots between their built environment and the physical well-being, mental health and satisfaction of their people. More recently, the pendulum has swung away from suburban McMansions towards minimalism - the newest and hottest trend. But while there's always a new "lifestyle diet" of the week, we continue to focus on simple, realistic ways to introduce good design and planning to every project we work on. Since that initial conversation in 2014, we continue to ask questions. And every time we do, we find exciting new opportunities.